The University of Virginia Center for Politics has received an extensive collection of mid-20th century U.S. presidential memorabilia and artifacts from the estate of the late Jack F. Christie. 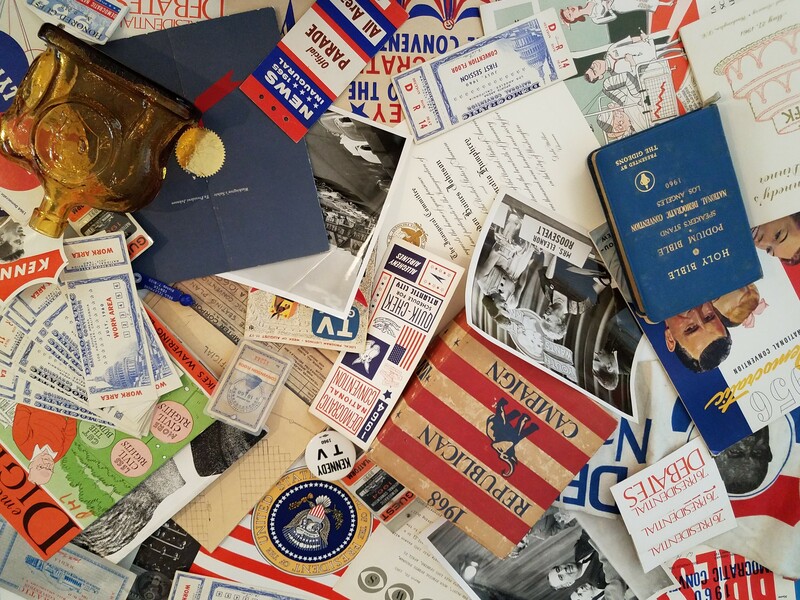 The donation represents one of the largest privately-owned collections ever donated to the Center for Politics, and it's made up of hundreds of items from the Roosevelt, Truman, Eisenhower, Kennedy, Johnson, Nixon, and Carter political eras. Donated items include: presidential historical memorabilia, including presidential campaign itineraries and inaugural planning documents; original signed documents; original audio recordings; never-broadcast video news footage; political artwork; presidential campaign ephemera; presidential volumes published over the last 75 years; and Republican and Democratic National Convention artifacts, including the podium Bible used at the 1960 Los Angeles Convention where John F. Kennedy was nominated for president. 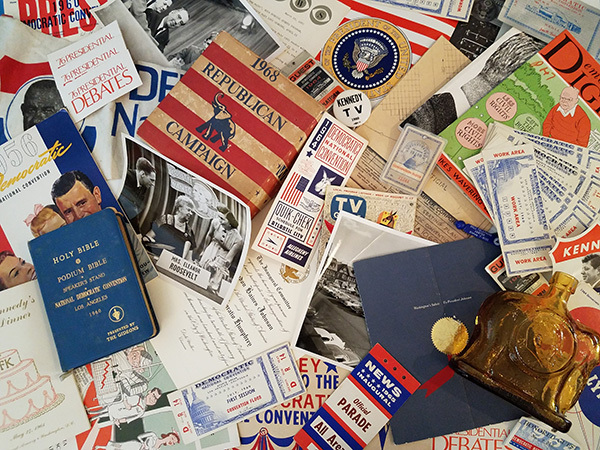 The Center for Politics will host a public exhibit of selected items during a planned series of events to be announced in fall 2018 and spring 2019. Jack F. Christie was a veteran of WWII, serving in the Army Air Corps. Upon returning from service he continued his education under the GI Bill and graduated with a degree in broadcast journalism from Syracuse University. With TV broadcasting in its infancy, Christie began his career with NBC and a program called “Youth Wants to Know” aimed at introducing young people to many of the key political figures of the time. In the mid-1950s, he took a job with the Democratic National Committee, where he met JFK during the 1956 Democratic convention when Christie was a part of the broadcast team. Christie was also involved with the 1960 convention in Los Angeles, where he met and became friends with Frank Sinatra, with whom he remained in contact until Sinatra's death in 1998. Christie started his collection during college and WWII and continued throughout his life. His full collection covered early broadcasting, the 1956 Democratic Convention, in-depth coverage of the Kennedy era, as well as the 1968 Democratic and Republican conventions. During Lyndon Johnson's administration, Christie headed up the Presidential Pavilion at the 1964 World's Fair in New York.